Part Two of the carnival edition of the Punting Pointers series with professional punter and form analyst Mark Rhoden from Champion Bets is all about the two-year-olds. 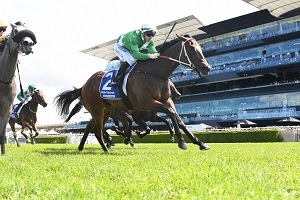 With the $3.5m Longines Golden Slipper (1200m) at Rosehill on Saturday, Brad Gray asked Rhoden, among other things, what makes a top class two-year-old. Still to come in the six-part series is jockeys and trainers to watch over The Championships as well as how to approach betting at carnival time, in races with a short-priced favourite and in feature handicaps. Keep an eye out each week. Click here if you missed Part One: Where To Start. What do you look for in 2YO trials? Firstly, the good two-year-old races are sprints. So a fast time, both overall and sectionally, is the starting point. If a trialler can produce a notable performance on the clock, while at the same time not being fully tested, it’s likely to be a force to be reckoned with on race day. Other factors like a horse’s tractability, action and physical type can be judged from trials as well. My approach these days isn’t really geared to finding debutant winners from trials, but in my years as an analyst in the bookmaking industry I watched countless trials to try to come up with markets for two-year-old races. They’re an invaluable tool, and the compulsion for horses to trial before racing is a big advantage for NSW punters compared to some other states. Is the trainer factored in even more heavily as opposed to with older horses? The bigger stables will end up with the bulk of the well bred two-year-olds in any given year, so they are going to produce the majority of big race winners. Obviously Godolphin’s record is outstanding, but they have a vast number of horses and they’re all well bred. So they have advantages and their record means that if you’re keen on one of theirs it can be backed with confidence. There are plenty of talented, precocious two-year-olds whose pure ability ensures they’ll win races, particularly early, but they come up short against horses from the bigger operations in the major races. That said, it’s not always the case! One of my more memorable collects as a younger man was a good win on Calaway Gal, trained by Bruce Brown, in the 2002 Golden Slipper. So it’s never one-size-fits-all. You can get a feel for how good the two-year-olds from smaller stables are by looking at their individual attributes. What makes a talented 2YO? What are the most important attributes? Speed is obvious. Without the ability to run fast a horse won’t be winning many big two-year-old races. So you need to be paying attention to the overall and sectional times. But as the major two-year-old races are at 1200m and further, a one-dimensional pure speed runner can get found out late – that’s where strength comes in. You need a horse that’s strong enough to sustain a run. To gauge strength, you’re really looking at physical type. For a two-year-old contender you’re looking for horses that are well developed and muscular – you want one that’s more powerful than a lean staying type that will likely take more time. It’s obviously easier to pick these things up if you can look at them live, so there’s value in seeing two-year-olds in the flesh but you can certainly get a sense watching on the screen. So take advantage of the accessibility of NSW trials and the race replays on the website. Tractability refers to the horse’s general racing manners. These horses are very young and there’s varying degrees in terms of how comfortable they are on the track and more importantly in a race situation, with all that entails. You’re looking for a two-year-old that settles well and then races truly: a horse that doesn’t hang or lay in. If you spend a bit of time watching them, you’ll start to see the comparisons and how some are simply more mature and further advanced in terms of becoming genuine racehorses. A mature and tractable two-year-old can be ridden more than one way, and that can be a big advantage come race day. A lot of things can happen in a race situation. Some say that if you find the horse with the strongest late sectional, you’ll go a long way to finding the Slipper winner. True? Combined with an ability to take up a position in running, absolutely. Estijaab led all the way but that’s hard to do. While there are some famous examples of horses coming from well back to win the Slipper, that’s pretty rare as well. Enough early speed to be put in the race (speed), then the ability to run the strong late section (strength). That’s the perfect profile. Revisit the Punting Pointers series from January last year.